Courtney Force was given the first opportunity to become the first woman to win the 100th NHRA race by a woman. In the Funny Car final at Atlanta Dragway, Force was near her teammate Robert Hight in the beginning of the race. However, towards the finish line, Hight pulled away. 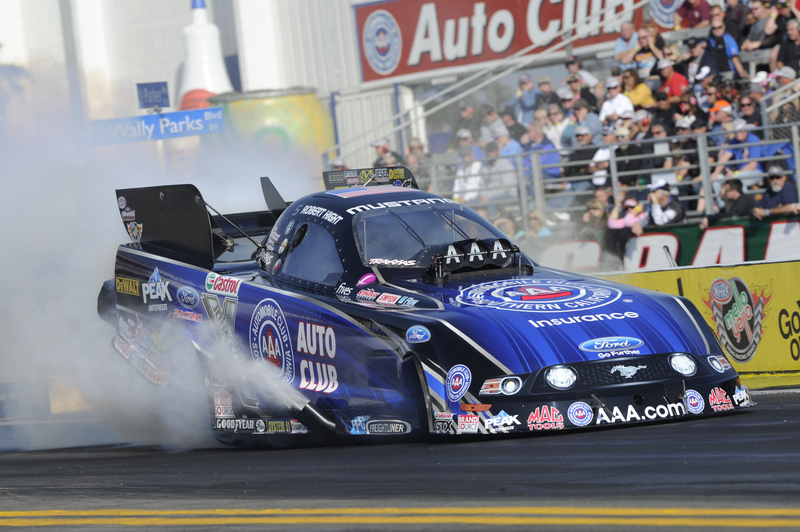 Hight picked up his 33th win by beating Force at the NHRA Southern Nationals. It is also his third win this season, and he is 10 rounds ahead of his boss, John Force, who is in second place in the Funny Car standings. This was Hight’s sixth final round in the first seven races. He also won his 300th round earlier in the day. He is 22-3 on the season in the round win-loss category. In fact, two of his losses have come to Alexis DeJoria, who beat him in the finals at Phoenix and Las Vegas 1. His other loss came to Matt Hagan in the second round to Pomona 1.